J.T. 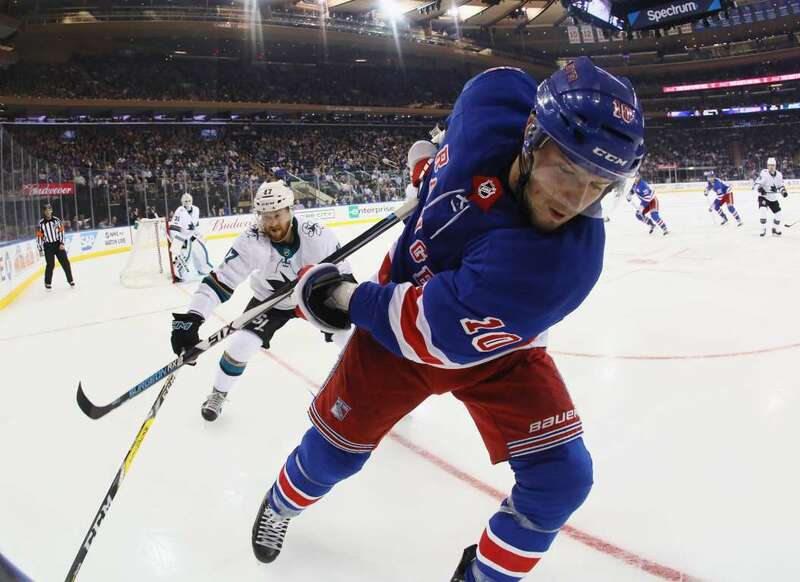 Miller of the Rangers shoots the puck away from Joakim Ryan of the Sharks on Monday in New York City. The Sharks defeated the Rangers 4-1.